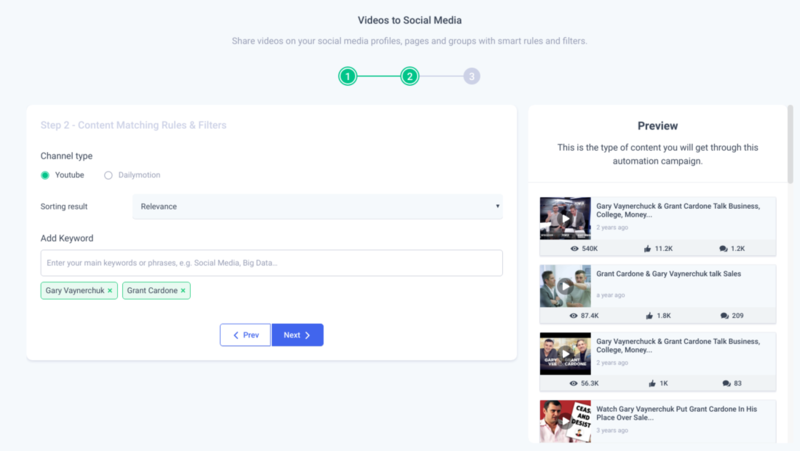 Share niche-relevant and engaging videos to your social channels and boost engagement like a Champ! With this new improvement to our Video Automation Recipes, you will be able to see preview based on your keywords and filters selected. Apart from this, you can easily add or remove keywords for your automation campaigns. NOTE: Dailymotion option is restricted to only a single keyword as their API does not more than keyword.